Driver App is completely set to respond for the passenger. 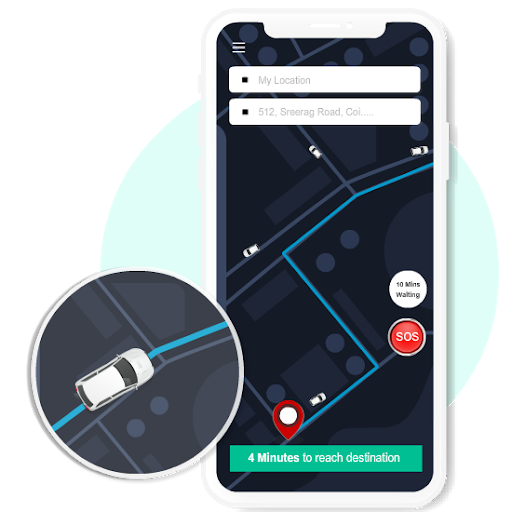 The driver has the unique login details with GPS tracking system and many other features which help the driver to organize the passenger in an efficient way. The app comes with Night Mode Map feature which allows drivers to use the map without any strain on the eye. This enables drivers to view the map for several hours without any stress in the eye which in turn increases productivity. Also, using the night mode feature saves the device power. UnicoTaxi’s Driver APP and Passenger APP comes with POP-UP notification feature. 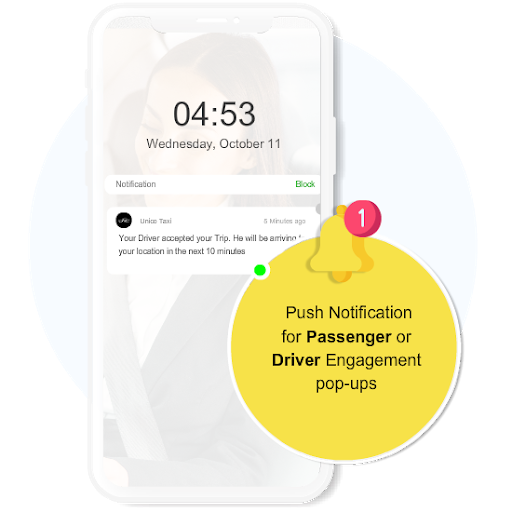 POP-UP notification can be used in different ways in the Driver and Passenger APP. In Driver APP, POP-UPs can be used to encourage them to drive more. For instance, POP-UP notification like “Congrats! you’re only 10 dollars short to make 500 dollars” encourages the driver to drive more. Similarly, vice versa for Passenger APP. A driver can toggle between online, offline and riding mode. This feature allows the dispatcher to assign/handle the rides more efficiently. The online mode indicates that the drivers are waiting for the next ride while offline mode indicates they are in a break whereas riding mode indicates they are on a trip. 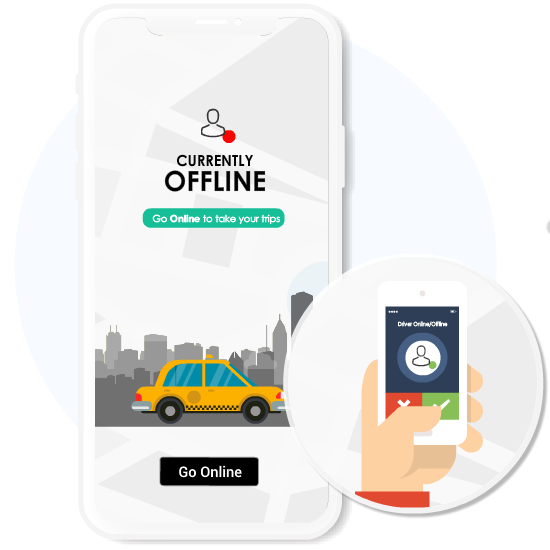 Taxi App comes with an Oauth2 protocol which means API can be accessed only with the received access token. In simple words, both Driver and Passenger app are secured. Benefits of using secure login include hack proof version of Taxi APP which makes your business safer. 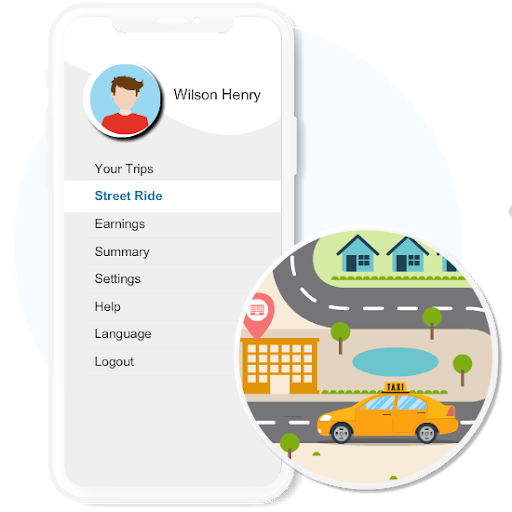 Street Ride Feature enables the driver to pick up passengers who are hailing-a-cab. This allows acquiring new passengers who aren’t using your taxi app to book the service. Benefits to convert new customers to use your service. An effective, secure and easy way of communication between passengers and drivers. The app comes with an in-built chat feature which enables to communicate without sharing numbers. 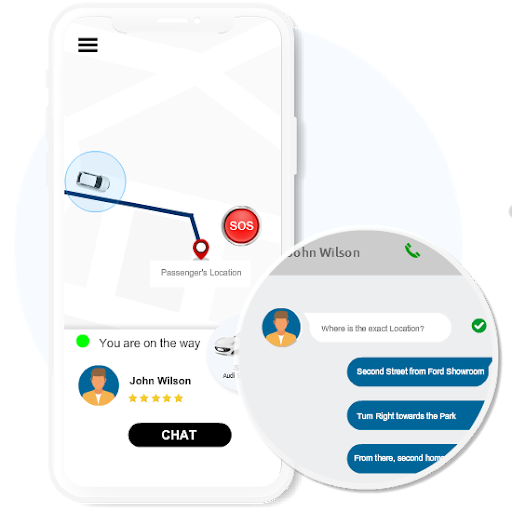 Just communicate with the passenger or driver with pre-written text templates and auto-suggestion features.